Today is Day 4 of Giveaway Week, and it’s one you all know and love! Those of you who follow my blog already know what a huge Wayfair fan I am, and that you can find their products in nearly every room in the cottage flip. They brought the personality to the bedrooms with unique and affordable items—you just can’t beat that combination. I could be here all night listing off all my finds, but here are some of my favorites from the flip. The bedding, chandelier, lamps and mirror in Bedroom 1. Sigh. There selection is huge and always changing, so I spend more time browsing Wayfair than probably anywhere else when putting together room designs. And one of you are about to do the same because Wayfair is giving away $250 in store credit to a lucky reader! Enter to win using the Rafflecopter widget below (use one or more of the options for as many entries as you’d like). The giveaway period ends at 11:59pm next Sunday, March 26th, and the winner will be emailed the following day (March 27th). Good luck to all, and stay tuned for the last giveaway tomorrow! Wayfair! One of my favorite places to shop for affordable lighting and bedroom dressers. It’s just the best. Thanks! I’m working on a small bathroom and purchased a pedestal sink, mirror, and faucet from Wayfair. Love each item!!! Would love to get some furniture or accessories for our guest room that we are redoing. Yay, what an awesome giveaway!! Love their lighting, bedding and furniture! I love perusing their rugs and side tables…weird, I know, but that is what I gravitate to! The lighting is the very best, but I’ve also purchased bar stools. Thank you for the opportunity to win! Love the bedding you used! Great giveaway, Jenna! I mostly like to look at bedding or rugs. Oh, who am I kidding? I like to look at it all! Thanks for this opportunity! I order things from Wayfair and they have the best selection of everything. I have never been disappointed. Love the items and the service they offer is excellent. I’m renovating both of my bathrooms and still need to pick out new lighting. I love looking at accessories, but could also use a few new side tables for the living room. I really love all parts of Wayfair. The lighting selection is what I’ve purchased the most. Great prices and style! Love so much on Wayfair but their lighting is what makes me swoon. I love Wayfair! It’s so easy to filter through the products by size – a lot of sites don’t have that! I bought my beloved Olga Farmhouse rug and they were the least expensive by far. I’ve also always had a great experience with their customer service. I love Wayfair! I bought our upholstered king bed there, two arm chairs, a cat tree and a beautiful rug. I love to just browse their site, so many nice things! Wayfair is the BEST! I’m currently updating our master bedroom and would love to get new lamps and bedding!! I love their prices! They are consistently lower than anywhere else and the shipping is fast. I’m new to the Wayfair fan club but I won’t have any trouble spending $250 if I win. I have several things I *need* for redecorating a bedroom. Thank you for the give-away opportunities! Currently I have been checking out Wayfair for a coffee table for our living room. Great choices! I love a lot of the things you used in the house from wayfair. We recently purchased a bookcase for our son’s room and have enjoyed shopping their outdoor furniture selection. I also love wayfair. We just moved and I have such a huge wishlist out on Wayfair. I’ve got my eye on some of their bedding and ottomans! I <3 Wayfair! I recently bought a bedframe, 3 rugs, and a lamp from them! Looking for a pendant light currently! I like their home decor accessories and the furniture. Looking around my living room I can’t even begin to narrow my thoughts on how to begin freshening up our home for Spring! New pillows, a new rug….. I just recently discovered WayFair. Where have they been all my life? So many great items for any style. I particularly like the decor, lighting and bedding. Jenna Sue: I love the sconces lighting that you have used; I may get them for the next bedroom that I am starting to work on. 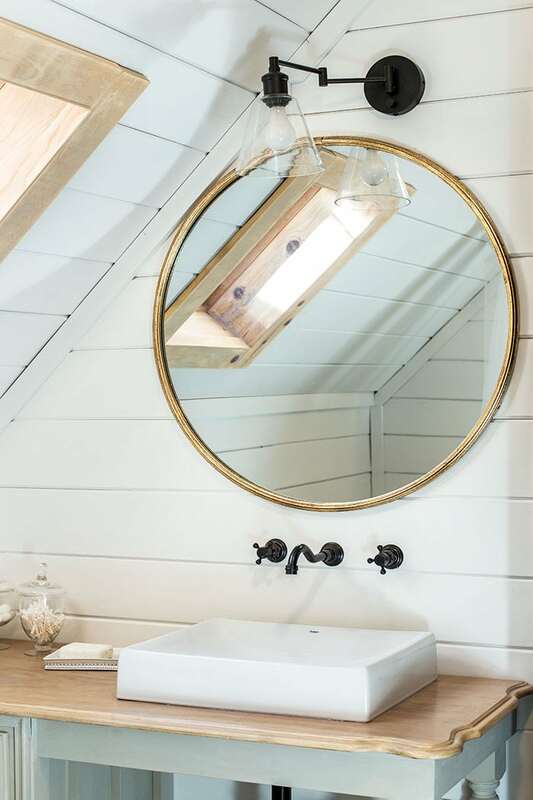 The round mirror is one that I’d like for a guest bathroom. Thank you for these give aways! Great giveaway! I love their lighting and outdoor items! I love shopping on Wayfair! I love their lighting and outdoor accessories! I’ve got lighting on my shopping list- flush mounts and table lamps. Gosh, I love Wayfair. I’m on the hunt for some bedding updates and have been stalking their inventory for a while! Fabulous! I would love to try their bedding! Great giveaway, Jenna! I love to shop for everything on Wayfair! Great selection and great customer service when you need it! I love everything, but especially the bedding and bedroom assesories right now! I’m redoing my daughters bedroom and would LOVE to order some things for her! I love to shop for beautiful affordable furniture at Wayfair! As a new home owner with a small budget, I love that I can still have a beautifully decorated home! I would love to pack a $250 gift card in my upcoming move! Wayfair is quickly becoming a go-to for home accessories and decor. I have the same sconces in my bedroom and I have loved other items I’ve ordered from Wayfair! Now I need like 3 area rugs to go in all of our bedrooms that we are redoing the floors in! My favorites from Wayfair are their linens and lighting. The chandelier you used is amazing and the bedding ties everything together! So far I’ve only bought furniture from Wayfair–I think I’m in the minority! I just moved halfway across the country and in the process some of my favorite pieces were broken beyond repair…would love to replace them! I’m in need of some new spring accessories! I have enjoyed seeing all of your homes that you have renovated. But by far, this is my favorite! So many good ideas to copy. The styling is just beautiful. I love how Wayfair has so many good looking and affordable products to choose from. Together, you and Wayfair have knocked this house out of the park! I definitely need some light fixtures and furniture! My favorite thing to shop for at Wayfair is…everything! Bedding, light fixtures, furniture…it’s all good and the prices can’t be beat. Love them! As an international reader I was not familiar with Wayfair. 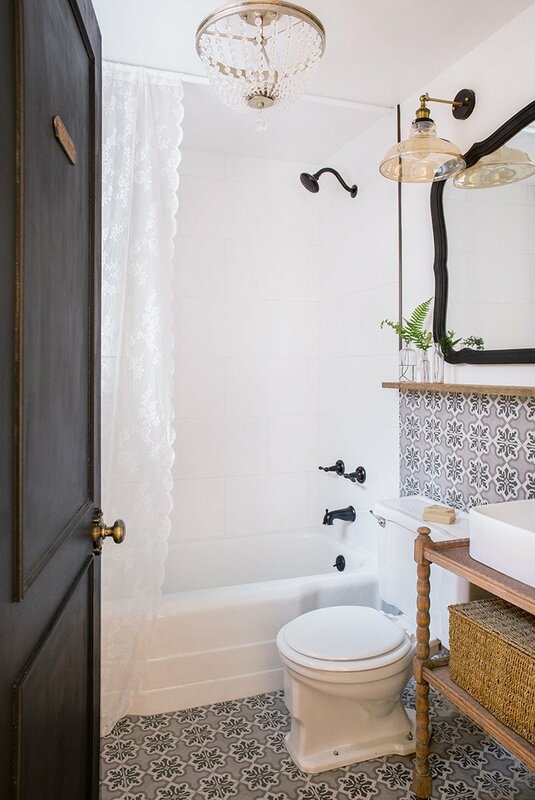 But I am loving everything you used in the cottage flip especially those black sconces and the bathroom tiles! Everything! It is always my starting point when I am looking for home goods and furniture. We even got our swing set from Wayfair! LOVE Wayfair. Working on a laundry overhaul at the moment that $250 would be very useful for! Love Wayfair. I love their lighting fixtures! Found a fixture I loved in a very high end shop. Found the exact one at Wayfair for about 1/2 the price! Love the bedding in the flip and those tiles!! I had no idea they carried tile. I hope they offer organic bedding. Thank you for the giveaway! I love Wayfair’s light fixtures as well as their dining chairs/benches and bedding. They always have endless options to browse through! I’ve been stalking some headboards on Wayfair. They have a great selection! I would love some new furniture for my new house! I just moved into a new apartment so I would get some home decor! LOVE wayfair for lamps, bedding, & accessories! I’ve never never shopped at way fair. But I would love the chance. I’ve shopped for all kinds of things on Wayfair! I bought a beautiful area rug from them! I love all their home decor! Didn’t stumble across Wayfair until about a year and a half ago-now it gets me in trouble! I just moved and have had my eye on a bed frame from Wayfair that matches my vintage dressers– the giveaway prize would be a nice push to finally make the jump and get it! I’ve had great success with lighting and mirrors and now I’m stalking a console table. I have so many items in my cart from Wayfair !! I love their site. I love wayfair! There are soooo many things I want to buy from there! Love all the Wayfair items you used in the house! It all looks so perfect! Love Wayfair furniture- indoor and out! Lighting! My home is straight up from the 80’s, and I’m slowly phasing the lighting fixtures out. I love wayfair for mirrors and bed linens at a reasonable price. I love this giveaway ! With Spring knocking at the door I’m anxious to rev up my porch entertaining spot! I love Wayfair! Even my husband shops there and he hates shopping! We recently purchased a hide-a-bed couch and entertainment center which we love, but my favorite is their bedding! Thank you for all the great inspiration! I have been reading your blog for a long time and love following the process! I have incorporated a lot of your ideas into my own home improvements! I’ve never shopped there before, but I have particularly liked the sconces and lights that you bought there. Thanks! I love Wayfair! I ordered the same swing arm wall lamp that you added in your bathroom.. It looks so beautiful! Wow!!! 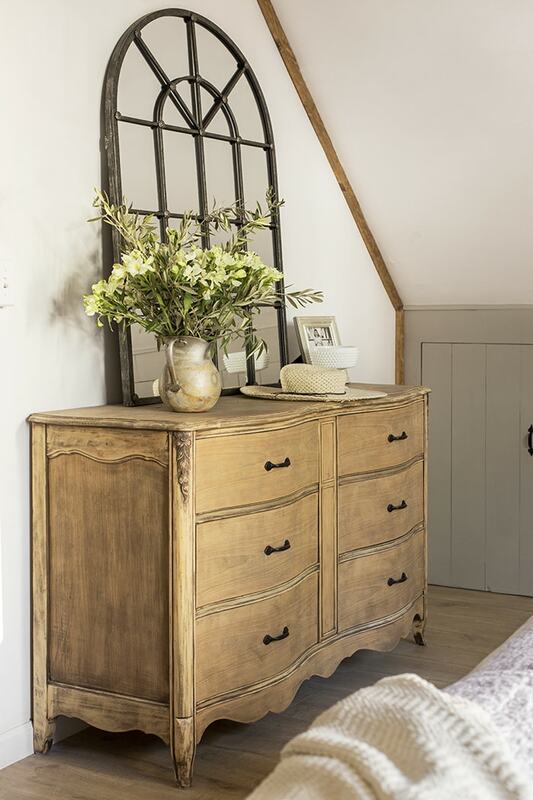 What beautiful pieces you chose for the makeover! I love shopping Wayfair for bedding and lighting! I have purchased bedding and outdoor storage containers at Wayfair. They really have it all! I like their choices of accent furniture! Off to check out their bedding…. I bet I have something from wayfair in every room of my house! I’ve gotten most of our lights, rugs, and furnished most of my chcild’s room from there too! Like we’re talking crib, glider, day bed, rug. Like big ticket items! I always point anyone towards wayfair for things. I’ve never been unsatisfied. Now I get all our home decor stuff from our own shop! I was just on Wayfair yesterday looking for a rug! They have so many options! I would love to win this! I spend way too much time looking at all of the stuff on their site! Thank You Jenna Sue. I love Wayfair! We purchased several light fixtures from them last year after we moved into our new-to-us home. Affordable and stylish – which is great when you have a house full of dated fixtures to replace!!! Furniture, rugs, lamps… where do I start??? 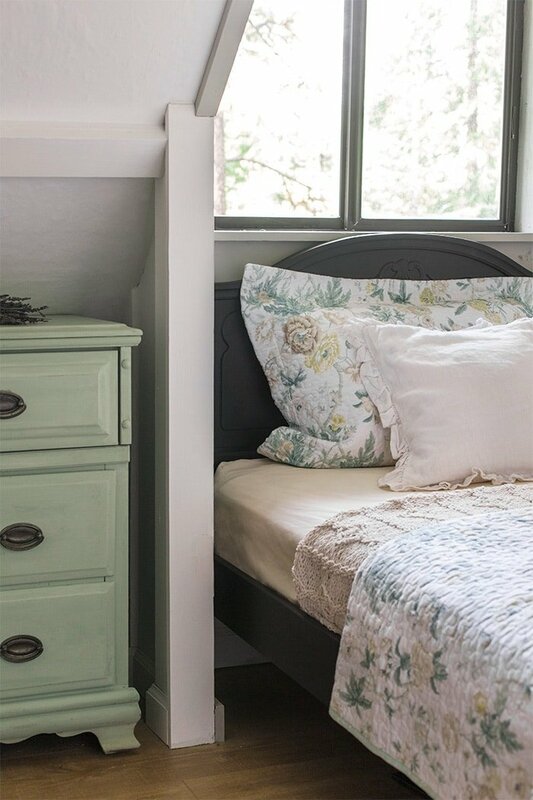 I love their bedding ( I actually ordered a beautiful matelasse bedskirt for my bed after seeing it in your cottage ! ) love their rugs too. Jenna – I am completely blown away by the entire home. The accessories from Wayfair add the perfect polish! I adore the the chandelier in the downstairs bathroom. am 8 months pregnant, and putting the finishing touches on our baby girl’s nursery, and a beautiful fixture from Wayfair would add the ideal finishing touch. I’ve never purchased from wayfair but I’d love to do some shopping to finish up my dining room! My next purchase will hopefully be a sideboard cabinet. This home is so beautiful now! I would love some things to freshen up my home as well. We are slowly trying to redo our 20 years plus out-dated bedroom. Wall sconces are on the list. Love Wayfair and the white iron bed we bought for my daughter! Currently shopping for the perfect lighting for my dining room makeover. Thanks, Jenna! Furniture!!! And rugs. And pillows. And light fixtures. And well everything! I purchased a runner for my kitchen and I *think* my patio furniture. I love their lighting as well! I love wayfair for the huge selection of light fixtures. Love it! They have awesome stuff! I have gotten a rug and side table there! We could totally use this, furnishing a new home gets expensive! I have the same arch mirror from HomeGoods that has been looking for a partner! everything, I always forget to look there first, but the selection is amazing! I’m moving and this would be perfect timing! I’ve never bought anything from Wayfair but they obviously have nice stuff!! Oh my goodness… there are so many things of beauty there. However, lighting is something we would love to change and there are some beauties to behold on way fair… so lighting it would be. Thank-you for the chance to win such a great prize! Good luck to everyone. I am hoping to transform my new make over with some accessories from Wayfair. I am heading over there now to shop for rugs! I love their accessories and mirrors!! There furniture is all so beautiful. I am working on a small family room remodel and this would be helpful! I love the lighting choices at Wayfair- but lately I’ve been looking at new furniture- side-tables, hopefully! Wayfair is really good about sending out tile samples quickly. My favorite things to shop for on Wayfair are lighting and rugs! I’m loving their sconces/light fixtures I need to update above my kitchen sink! Building book shelves around fireplace I could use a few new accessories to style the bookcasees with. I have never bought anything from Wayfair, but I’ve had my eye on a couple lamps from there…. would love to win! Would love to use all the knowledge I’ve gain from you one day. I love all the different styles of lighting that Wayfair carries! They always seem to have something that works for whichever style of house we are currently renovating. Love this giveaway!! The bathrooms are so cute!! I love Wayfair! I furnished/decorated most of my baby’s nursery with Wayfair and love it! Working on an outdoor lounge area this spring, looking forward to purchasing some of their great stuff! Thank you for all that you do and share. I am always looking at your amazing finds from Wayfair, Lowes and more. An area rug brought me to the Wayfair site and I keep coming back when I purchase something else for our home! I love looking at bedding, rugs and accent decor on Wayfair. Love Wayfair for everything! I’ve bought anything from furniture to cat beds to curtains. Crossing my fingers! Everything is absolutely beautiful! Love shopping at Wayfair!! I love looking at everything! I mostly look at rugs/furniture. I was just shopping Wayfair, as I am looking for a bathroom light fixture, likely a mini chandelier. Thank you for the opportunity to enter the giveaway! You do such great work with their product! Everything about wayfair is my favorite! It’s like a home goods online just with more departments! I have to say their furniture gets me most though. From the prices to the variety of different styles, I swoon. Love the selection at Wayfair. love to shop for furniture on wayfair. I think Wayfair has GREAT prices on beds! I have an empty guest room that could use a beautiful bed! wayfair is the best for furniture and accessories! We are updating all of our light fixtures but I am specifically looking for bathroom light fixtures. I love my rugs from Wayfair! I love looking for stuff for my future house! I recently got a coffee table and console from Wayfair and I love their products! I love Wayfair for bedding and my fun new Spring wreath! I love the rugs and furniture on Wayfair! Many good options! Whats not to love about wayfair?! Everything you do and touch Jenna is pure MAGIC and with wayfair to shop from we can all get the look!!!! Lighting, rugs, linens, home accessories – I always check Wayfair’s great selection. Um hello, I already love Wayfair and had found them before this blog, they are great! I signed up to be notified when those amazing sconces are back in stock and perfect timing, they are in, let’s do this $250! I like to shop for bedding at Wayfair. I like to shop for furniture. I got my headboard from there and I love it! I love getting rugs, accent pieces and furniture. I love to shop Wayfair for furniture and home accents. I have had great luck in finding lighting on Wayfair. I love perusing the Wayfair site! Currently I’m looking for a rug for the living room and a side table for my guest bedroom and Wayfair is my go to! Oh my goodness…Wayfair! What a great giveaway prize! I love Wayfair! You can’t beat the free fast shipping! I have been shopping Wayfair for light fixtures for our new home! Exciting giveaway! I love Wayfair! Love it! Thanks for showcasing your finds. I love all their eclectic lighting options! I obsessively stalk furniture on Wayfair! what an awesome giveaway! I would love their bedding and lamps! I love Wayfair! I recently bought some amazing pendant lights for my kitchen from there and have saved so many other gorgeous pieces. I would love this! Great giveaway! Bedding and rugs would be on my list. I would not have thought of purchasing tile from Wayfair – they have great options! I bought a play kitchen for my daughter that we both love, but I also love the rugs on Wayfair. I just bought a great fire pit table from Wayfair and am looking for a wall mirror. I bought a great fire pit table from Wayfair and am looking for a mirror. Love Wayfair! and love shopping their lighting! I am in search of some new bedding for our beach house – and something tells me I would find it at Wayfarer!!! One of my favorite things to shop for on Wayfair is lighting! We got our sweet babe’s crib and glider from Wayfair. The house is just beautiful! I love Wayfair for just about everything- in the 2 years we’ve been in our home, I’ve purchased a chair, light fixture, and headboard. They are such a great resource! I am saving up for tufted dining chairs I have my eyes on from Wayfair. What isn’t there to love about WAYFAIR?!!! I have never shopped at Wayfair before but if chosen I think I may pick bedding for our master refresh. I’ve been saving up for tufted dining chairs from Wayfair! What an awesome giveaway! Love those wall sconces! Pretty much everything at Wayfair is a favorite! But Wayfair is really handy to procure items for my wedding booth at our Bridal Shows! Love shopping their home decor sections and lighting! I’m looking for a rug right now! I love wayfair! I need to decorate a whole house and wayfair is perfect! Love the lamps in the first pick. You have a beautiful serene style. I love finding great furniture on Wayfair! They have so many fantastic styles of everything! I love the Oxford indoor/outdoor pillows. Just received a beautiful rug from WayfairWayfair and would love to add some more decor to that same room. Thanks for the giveaway! I’m looking to redo our bedroom so, headboard, bedding, lamps and rugs. I LOVE Wayfair! You truly can’t beat their furniture prices. Oh man! I would love one of those round mirrors! For me Wayfair = Mirrors and Rugs. I Love Wayfair! We have been shopping for a new upholstered platform bed and headboard. I’ve got my eye on a few and just cant decide! They’re all so cute and such great prices! I love Wayfair and I would love to win this gift card! I love shopping Wayfair for bedding! Such great selection and everything has been great quality. Love the lamps in bedroom 1! I love shopping for Head board rugs at wayfair! I love Wayfair for furniture! I love your blog Jenna, you have inspired me in so many ways, making me believe in my own abilities as a DIYer! I will be soon buying a sofa at Wayfair so crossing my fingers that I win! What a great give-a-way! I love Wayfair. Shopping for a new headboard and mirror. Bought a ton of furniture through Wayfair! Tile for my kitchen is desperately needed! Your blog is so full of decorating inspiration! Love those lamps in bedroom 1. Thanks for offering this wonderful giveaway, Jenna! Wayfair has so many wonderful things…looking for items for our sunroom and deck. 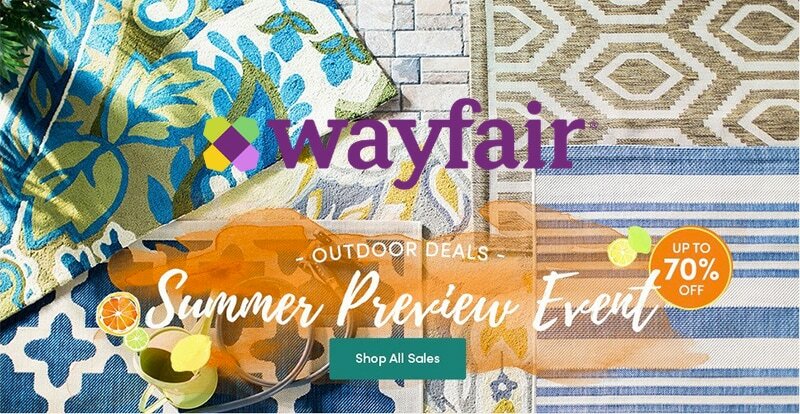 I’ve never shopped Wayfair, but would love to! Ooooh I love this! I’m buying my first house in two weeks and (as always) love your suggestions. That chandelier in the bathroom is one of my favorites! Can’t wait to see your next project! What a wonderful contest. It would be hard to pick from everything they offer. Fantastic job Jenna Sue, well done as always!!! I enjoyed following along…feeling your frustrations and hard-earned victories 🙂 Beautiful Wayfair choices, too. Thanks for the fun opportunity! I love Wayfair, and this blog! Yay for giveaways! I’d like to update my bedding. My outdoor furniture sure could use a lift. Love Wayfair for home decor! I love Wayfair. Thank you for this opportunity. I adore Wayfair! Definitely one of my go to places when shopping online! What an amazing transformation this cottage flip is … as are all of your renovations!! Thanks for the awesome inspiration, DIYs and for the generous Wayfair giveaway! This would be a great opportunity to purchase some decor for our new house! I am just beginning to remodel my house, so I don’t really have a favorite yet, but I soon will!! I love your blog!! absolutely gorgeous ideas!! You were my first tweet ever!!! lol pick me!! I love shopping at Wayfair! I love their kitchen products and their home accent products. They really help you finish off a room beautifully! Thanks for the great giveaway!! 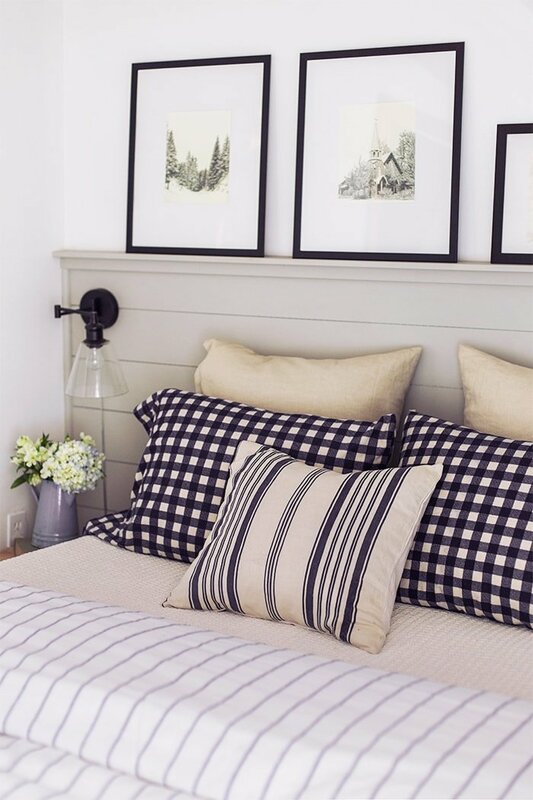 I absolutely love the gingham flannel sheets from Wayfair that you had in bedroom no…..? The entire house is perfection and it looks like Wayfair had a hand in pulling it off. Great job!! I love Wayfair! I’m currently wanting to re-do just about every room in our house, I’m kind of paralyzed on where to start and what to prioritize. Love that mirror from bedroom 1! And my husband LOVES the wayfair commercials with the dancing homeowners in their favorite rooms! ha! Thanks for the giveaway! Would love to give Wayfair a try! I’m shopping for several new things for our home…bar stools and new bed and end tables for starters! Amazing giveaway’s! Love Wayfair and love the items you chose. Our house is hurting for a new outdoor light fixture but we could also use a new sofa too. I still love seeing pictures from the cottage flip. You did such a fabulous job. If I had the chance to shop Wayfair I might pick some things to freshen up my bedroom. I love shopping for lamps, especially oriental. I love the pillows and bedding, too. I love shopping for bedding on their site. Their bedding is lovely! Which I need to update for my master ! Wow! Another great giveaway’. Thank you! Love all the pics form the flip and thanks for the sources. Wayfair makes it seem doable when I think of a makeover… I would never know where to go to find the perfect items. I just ordered a down alternative comforter from Wayfair, after I followed a link on of your cottage flip posts. I love it and their service was great! I just purchased some things for a bedroom. The gift card would help with more spring/summer refresh so desperately needed. 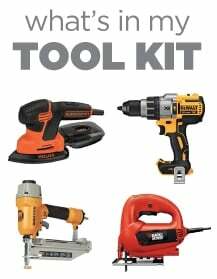 Awesome giveaway–THANKS Wayfair and Jenna. Looks beautiful!! I love shopping for lighting – tends to be very affordable! I’m always perusing the chairs and lighting on wayfair!! Love the sconces would love those in one of my guest rooms. Just purchased our first house and will be doing remodeling/redecorating. I love the affordability of Wayfair. I’ve purchased furniture and accent pieces from them and would love to make more purchases for our new home! I haven’t shopped at Wayfair. I have done some looking however. I wouldn’t have a bit of trouble turning that $250 into dust. Lover everything you did Jenna. The place is so fabulous. Kitchen is truly stupendous. Just getting into Wayfair. So far I’ve just bought lights! There’s some cute farmhouse decor that interests me too. Oh so exciting! Always looking at Wayfair! We just moved so we are doing lots of decorating! I love looking at their furniture! So many great items! Your blog has gotten me hooked on Wayfair! love your reno I will email you separately I’m looking for the scones you used in the ktichen and could not find them on the Wayfair site. My latest purchase was a new bed and since I have a full size and the new bed is queen, I’m going to need new sheets. Awesome! Fingers crossed for the win! Love all your amazing finds! Awesome giveaway Would love some new bedding! For some reason, it’s usually rugs! Just love ’em. Great selection and I have my eye on a rug I REALLY want! There are so many items I love at Wayfair it’s hard to choose just one. If I had to choose today, I’d purchase light fixtures to replace the very dated ones in my hallway. Wayfair has such an amazing selection of wonderful goods. What fun it would be to shop with a gift card! She said exactly what I was thinking!! Wow. So many wonderful things to choose from, LOVE the Wayfair bargains. I have never bought from Wayfair, but the first thing I would buy is a quilted bed skirt. I think they are beautiful in your cottage reveal. Way fair is my favorite online shopping place for home goods! I have purchased everything from furniture to rugs to outdoor pieces. I have been eyeing up some new outdoor rugs and winning would make that dream space come alive! Way fair is my favorite online shopping spot for home decor! I have purchased everything from furniture to rugs to outdoor goods. I have been eyeing up some new rugs for our deck and winning would help liven up that space! Love Wayfair! I was just on their site today looking for a new kitchen table and chairs. Love the flip too, can’t wait for the next one. I would but furniture if I won! Company’s coming. I really need to spruce up the guest room. New lighting. Definitely need new lighting. I love the tall mirror on the dresser in the bedroom. It looks so regal!! I am so impressed by this cottage makeover. Fabulous job, Jenna! My favorite things to shop for on Wayfair are rugs and decor. I love buying different throw pillows to change up a room. Working on an update for our bathroom and wow, wouldn’t a Wayfair win be awesome and exciting! I can serious picture a lot of Wayfair touches in my home! Love shopping Wayfair for affordable accessories and furniture! Love Wayfair – my favorite … the coastal decor and rugs! I love to shop for furniture on Wayfair. I love furniture on wayfair. Wayfair’s quick shipping is incredible! I love the furniture I have purchased from them. WAYFAIR IS MY GO TO! My daybed, rugs, coat rack, and Christmas decorations are all from Wayfair!! Thank you so much for sharing all of your finds too! I have never shopped at Wayfair but I love to! I love shopping for area rugs. Wayfair has tons of great furniture! I bought my couch on Wayfair! Where do I start? Home accessories and lighting would probably be my top picks. Right now my favorite is some candle holders that I’ve had my eye on for quite awhile that I’d love to have but just haven’t been in the budget. Wayfair!!! Such a. Great selection of so many items!! I lovebirds those glass sconces! Rugs and light fixtures for me… oh, and bedding…. Love Wayfair! I love Wayfair’s diverse selection. From furniture to decor and rugs, they offer classic to boho. I especially love their mirrors and accent chairs. I have so many things on my Wayfair Want List! I am new to Wayfair!! Would love to win and pick some lovely things for our home! I would love some of the sconces! Ive never shopped Wayfair but seeing that floral bedding makes me think I need to start! I love looking at their cool lighting! Just bought a gorgeous rug for our living room from Wayfair! Need to get a few of those sconces! I love Wayfair’s rugs and furniture. They have great customer service too! The throws and blankets things like that I like to shop and buy for me and my family. Lights and bedding! It’s fun to really at everything! I want an arm chair from Wayfair so bad! Wayfair has so much great stuff! I love Wayfair! I’ve gotten an upholstered headboard there, which I love! LOVE Wayfair, great furniture, rugs and everything in between! We got our sectional from Wayfair and LOVE it!!! Now I have my eye on some bedroom furniture! Thanks for the great giveaway opportunities! The timing is perfect as I am doing a Reno soon. Wayfair would be a great score for a new rug or perhaps some cool lighting with an industrial vibe. I’ve been looking at automans, rugs and side tables for months!! Loving their bedding and lighting. And their mirrors are beautiful! Love shopping for rugs on Wayfair! Love the lighting and the bedding! I love their mirrors, lighting and rugs. I’ve shopped Wayfair for pet supplies and lighting. My favorite things to shop for at wayfair is home décor, bedding and furniture. I love to shop for rugs, artwork and furniture on Wayfair. I bought my kitchen chairs from their website. Been a Wayfair / Joss & Main addict for a couple of years now!! I’ve scored great deals on everything from coffee table and lamps to Christmas ornaments and even our changing table! Wayfair is the best way to shop! I just bought 2 chandeliers from Wayfair. Next on my list is rugs! You scored some beautiful things at Wayfair! Now this is one I’d really love to win! So many great things on their site. Wonderful selection on Wayfair. It is always nice to find something out of the ordinary that not every store carries. Wayfair has so much cute stuff! Love it. I adore everything you selected from Wayfair. I need new lighting and so my fingers are crossed because they truly have an amazing selection. To be honest, I’ve never shopped Wayfair before. I’ve certainly heard of them and enjoyed seeing their product highlighted in blogs I read, but haven’t shopped myself. Would love to though, so thanks for the giveaway! Love Wayfair! And so happy they came to Canada! I’ve already bought a few things but my wish list on their website is growing. Next on my list to purchase – a set of six dining chairs to replace my old ones! Can’t pick a favourite – cuz I love it all! Bedding, curtains, furniture….! Gah! Would love to get a sweet big girl bed for my daughter. Would love to be able to spruce up my home a bit with Wayfair. Love their bedding ( I actually bought a matelasse bed skirt after seeing on a bed in your cottage ….love it ) and their rugs ! I recently bought a rectangle vessel sink and sconces from Wayfair for our bathroom reno. They are my go-to! I have been eyeing a new rug from Wayfair for a few weeks now! Every rug I have purchased from their I have loved . I love to shop for their upholstered headboards!! Love the house!! Love Wayfair! I’ve had my eye on the coffee table scale for months! Wayfair… a website i visit at LEAST three times a week… I’d LOVE to replace some of our bed linens/duvet! I love Wayfair for affordable furniture! I really need to update my bedroom furniture. I love to shop for rugs and bedding on Wayfair. They always have a great selection. I love to shop for lighting and rugs! Prices are great! I’ve actually never shopped there before but absolutely loved every lighting fixture you got from there! They would absolutely look beautiful in my next house! Where do I start? We just bought my toddler’s new bed on Wayfair but I love to check out their curtains , wreaths, and rugs. My favourite thing to shop for at Wayfair is mid-century modern furniture! I love all of their pieces and the selection is always changing! I love their tile and outdoor décor. I buy home decor on wayfair! Love the selection! I’ve never shopped at Wayfair, but there is so much that I really would love from Wayfair!! There are so many things I would love to have from Wayfair! New bedding for my kids room, kitchen things…honestly, every room of my house could use some help!! 🙂 Thanks so much for offering this giveaway! I continue to look at Wayfair for outdoor lighting, if only I could decide. love wayfair!! i’ve bought benches and chairs, pictures and headboards. right now i could totally use some kind of shelving unit for my new office. thanks! I’ve been so pleasantly surprised by the range of things available from Wayfair! Love your cottage flip! Home décor is my favorite to shop for!!!! I love wayfair..and super excited for the chance to win! I haven’t had a chance to try Wayfair yet, but I would love to try out some of their furniture. We need a number of items for our living room! My mind is on spring cleaning and organizing right now and Wayfair has awesome organizing items. Love Wayfair! have had great success with rugs and lighting! I love Wayfair!!! I had such a great experience ordering patio furniture from them – I will definitely use them again!!! I’m so excited! I didn’t know Wayfair had patterned tile. We are adding a bathroom to our unfinished basement and I’m using your flip home as inspiration! I would love some outdoor furniture from Wayfair! So many wonderful items! Love everything you have done!! I desperately need new bath lighting. Those look great! Outdoor goodies! And pretty much anything and everything really! Hi! I’d love to enter these last few giveaways but I don’t have a Twitter account. Seems a bit unfair and I’m sad. I love the patterned tile! I have my eye on so many items on wayfair! Linens, Lamps, and other bedroom stuff! I recently bought a chair from Wayfair – great stuff, good prices, better sales, and fast shipping. LOVE. For us its light fixtures for our house. Shipping is so fast and delivered with care. I love everything Wayfair, but so far I’ve mostly bought kitchen things from them. The next thing on my list is lights. I would love to buy bedding for my 3 sons who share a room! Would love to buy new lighting fixtures! I absolutely love the bedding. I actually purchased the same bedding from room one when it was on major sale. So beautiful!! I’m in the market for a mirror for our bedroom, and Wayfair is the first place I’ll check! Love all the “homey” touches you added to this project. So nice that Wayfair is a one stop shop. This house makes me want to stop by for a weekend! I love looking at the variety of lights and carpets at Wayfair. There are so many things to love! I particularly love the lamps in bedroom one however the patterned tile in the bathroom is stunning! I would want it all! Any sort of linens! I bought our crib from Wayfair as well! How nice! I was just perusing Wayfair this morning; in need of a new chandelier for my dining room! I love shopping Wayfair for their lighting deals! I have just the chandelier picked out and already in my wayfair cart! Thanks for the chance to win! I haven’t shopped at Wayfair before. I would shop for lighting and outdoor furniture. I would love to buy some accessories for our little lake house. I hit up Wayfair for home decor, including linens, rugs, and doorknobs! I have been searching Wayfair for the perfect light for my barn “workshop” I am currently working on! Way fair has so many amazing decor items, I can’t wait to order! There are so many items we want from Wayfair right (floor lamps, rugs, pillows, a new bed, bedding, other accessories) now but accent chairs for the living room too our list! Wayfair has so many great things for homes. I love their upholstered headboards but am currently looking at their rugs for our basement renovation. So many beautiful choices! Would love to win. Love the crystal pendants and area rugs I recently purchased! Would love to find some pieces for our sunroom! I actually have not shopped with Wayfair yet and would be excited to try. I love their options and style!! Loving wayfair! What great giveaways. Love Wayfair for beautiful rugs! I just bought a couple sconces from Wayfair and I LOVE them! I could spend way too much time browsing Wayfair.com!